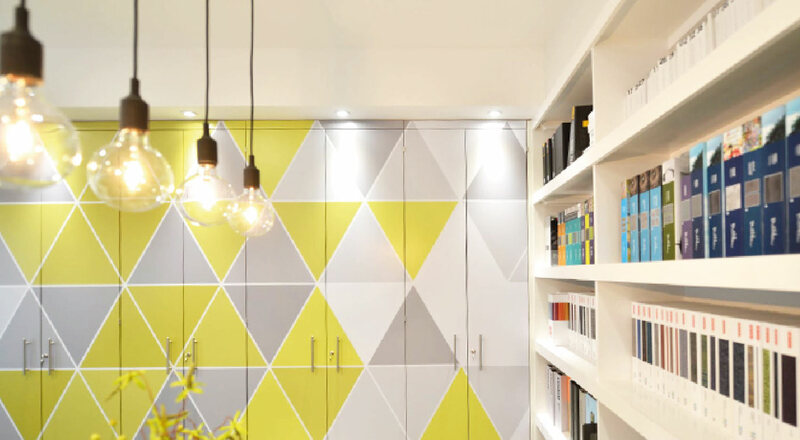 Working in collaboration with the Opus 4 interior design team, 4d creations helped artwork their interior graphics for their showroom in Stalybridge. 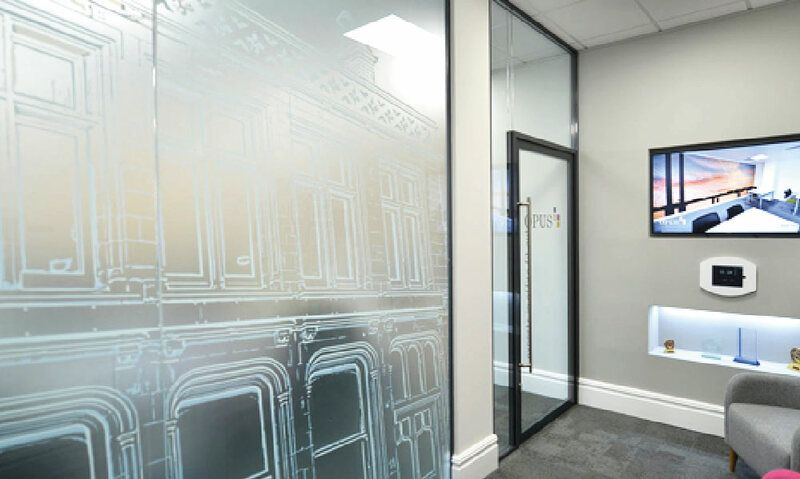 We produced this delicate white ink sketch manifestation design with a specialist frosting for the entrance partitioning. 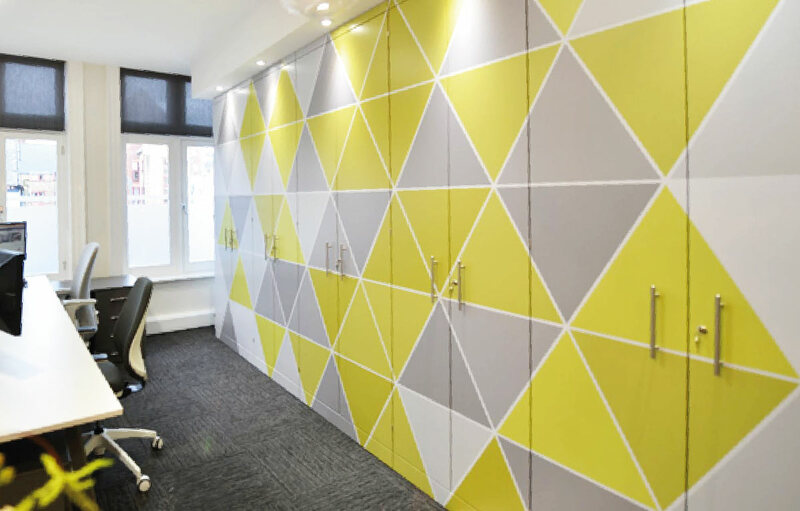 A striking graphic that also offers a sense of privacy into the adjacent office as well as a beautiful feature as you first enter the building. As part of phase 2, 4d creations produced and installed a number of internal and external identification signs. A 20mm polished clear acrylic with reverse mounted print, an 8mm polished white acrylic reception logo raised from an MDF triangle clad substrate with two external LED illuminated light boxes.